Cross-sector collaborations are a crucial step in creating tech-driven solutions that address the world’s most critical social problems. Nexleaf’s CEO Nithya Ramanathan and Sri Elaprolu, Global Leader of Public Sector IoT at Amazon Web Services, share their thoughts on the value of joint development partnerships at Fast Forward’s Accelerate Global Good summit. Accelerate Global Good convenes the tech for good community and provides a forum to explore the future of technology in the social sector. We’re thrilled to share our role in bridging the gap between non-profit and private sectors to ensure that subject matter expertise from implementing NGOs meets technology expertise from private tech companies. Watch the full video to learn how Nexleaf is pushing beyond customer-vendor relationships and is subsequently co-engineering innovative solutions that lead to impact. 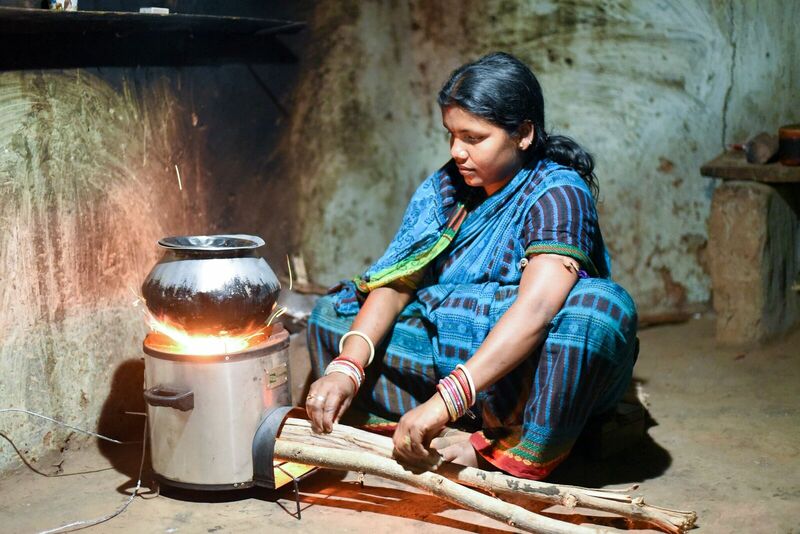 We partnered with Qualcomm Wireless Reach to create a video highlighting how StoveTrace empowers women to fight climate change with clean cooking. Watch the full video to see how IoT is revolutionizing the clean cooking sector and creating healthier communities. We are happy to announce that Nexleaf has been selected as a Foundation Beyond Belief beneficiary for their Humanist Giving Program for 2018! FBB recognizes and promotes organizations whose interventions deliver impact and efficiency. Nexleaf was chosen in the “Poverty & Health” category based on the core values of the Humanist Giving Program, including transparency, innovation, evidence-based impact, and capacity building. We featured a blog post on the Foundation Beyond Belief website explaining how our technologies ColdTrace and StoveTrace were designed with evidence-based impact and transparency in mind. 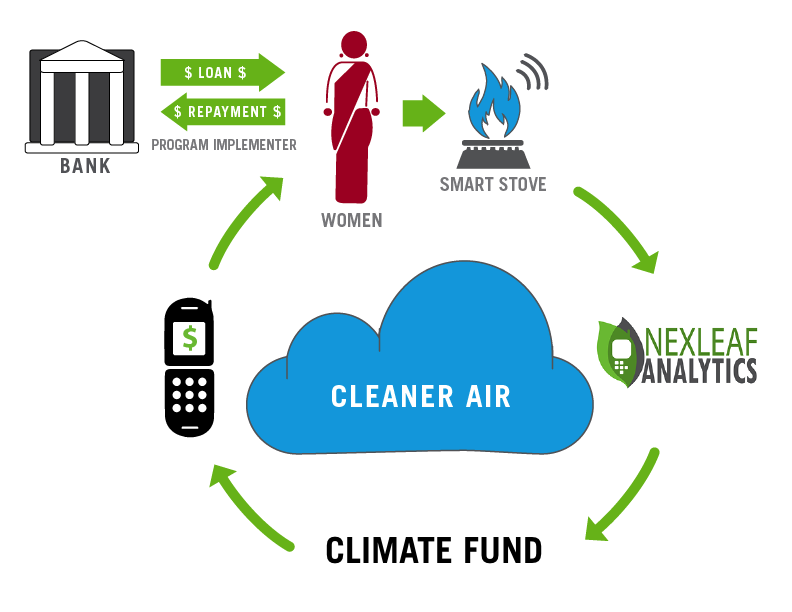 The vision that data and technology can be built for global good drives Nexleaf’s work. Learn more about Foundation Beyond Belief and their work. Read about our work in developing tech for global good on the FBB blog. Human resources capacity building is an important, but sometimes overlooked, component of strengthening the vaccine supply chain. That’s why Nexleaf published an article in Health & Humanitarian, the Supply Chain Review on best practices for training health workers on new technologies. The article, “Training Health Care Workers in the use of New Technologies,” is based on Nexleaf’s experience in training over 1,000 healthcare workers across South Asia and Africa. Designing trainings with a focus on people rather than technology leads to greater personal investment from workers, increased technology uptake, and better outcomes. Nexleaf is eager to share the lessons learned over the years that can help shape the landscape for successful uptake of new technologies across all countries. ­We’re excited to see Nithya Ramanathan, CEO of Nexleaf, attend the World Economic Forum’s annual meeting. In Davos, she was interviewed live on Facebook by Gavi, the Vaccine Alliance on Tanzania’s push to introduce an Internet of Things (IoT) solution to monitor vaccine refrigerators at national scale. The partnerships we have fostered with countries such as these are moving us closer towards our goal to monitor and protect every vaccine on Earth! Watch the full interview to understand how Nexleaf is cross-designing solutions with countries and helping build a complete picture of the cold chain. The World Bank released a new report entitled “Internet of Things: The New Government to Business Platform,” co-authored by Nexleaf CTO Martin Lukac. As an IoT provider achieving impact in emerging markets, Nexleaf is proud to have provided input on this important report. While the report does not cover specific countries where Nexleaf technology is currently deployed, it showcases the potential and importance of IoT applications for all countries and contexts. We believe governments have a critical opportunity right now to create policy and regulatory frameworks that will help them protect their data while also ensuring that IoT technologies can operate within their borders in ways that serve national goals and priorities. For more on Nexleaf’s applications of IoT technologies, visit nexleaf.org/impact to read our two recent “IoT for Development” reports. The Internet of Things, or IoT, is revolutionizing how data is gathered all over the world, and Nexleaf is committed to creating IoT solutions that serve global goals. Today, Nexleaf announced the release of two data-driven reports from our new “IoT for Development” series. These reports give background on our work in both the global immunization sector and in climate financing for cleaner cooking, and they showcase how our data and analytics are already driving systemic improvement and change. We’ve also updated our organizational impact statistics, which you can view on our impact page. 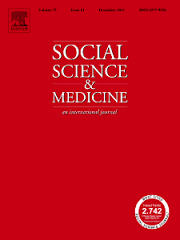 Nexleaf’s CEO Nithya Ramanathan co-authored a paper featured in Social Science & Medicine. In collaboration with the Human Sciences Research Council of South Africa and UCLA CHIPTS, the paper identifies potential uses of mobile technology (mHealth) to address current barriers in the South African healthcare system. Based on findings from interviews and focus groups with community health workers, health officials, field staff, and patients, the development of mHealth can improve resource allocation, foster trust between community health workers and clinic staff, and facilitate communication with patients. 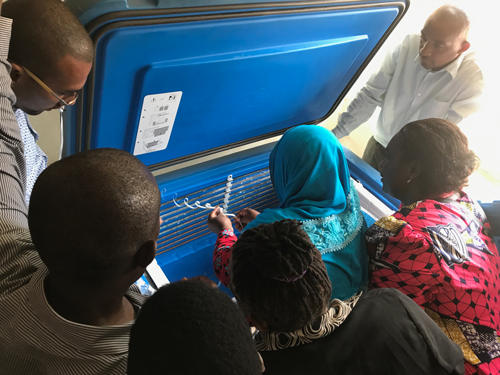 With partners PATH and VillageReach, Nexleaf conducted small-scale studies to evaluate the performance of vaccine cold chain equipment (CCE) in Uganda and Mozambique and to unearth underlying causes for equipment failures. 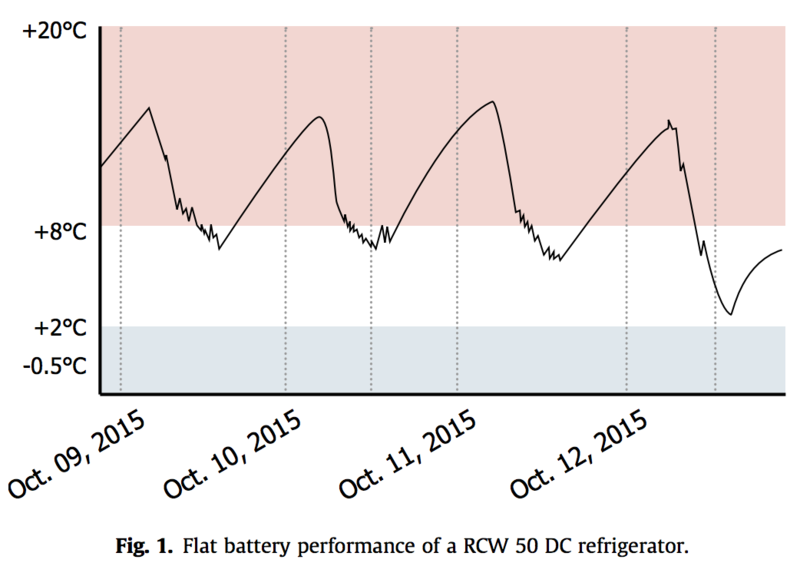 By monitoring eighty-six failing refrigerators and freezers in selected locations, the project teams acquired revealing, actionable information that led to immediate and long-term vaccination systems improvements. 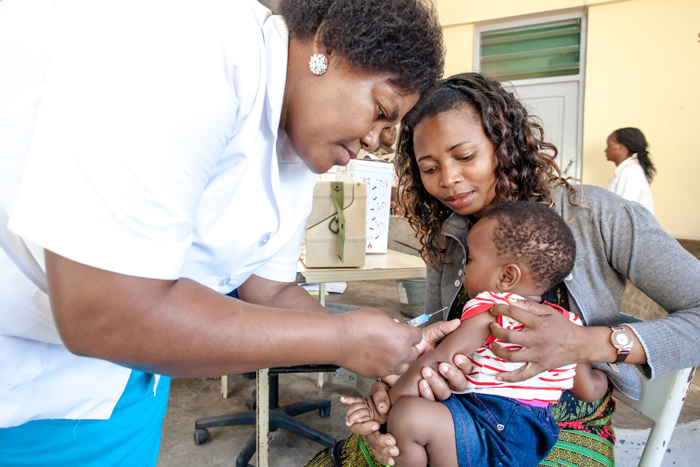 This is an exciting example of how collaborative efforts to systematically collect and communicate data can improve the efficiency and reach of immunization programs in low- and middle-income countries. Learn more about our ColdTrace program.